This Japanese Imported fabric, is incredibly soft. Made up of 100% linen, makes it a lovely choice for apparel and beautiful for quilts as well. We carry a selection of options that would be perfectly paired with any of your favorite indie sewing patterns. Choose to order yardage by entering a quantity of half yards! We will always do our best to cut all yardage in one continuous piece. Mariner's Cloth by Allison Glass is a yarn-dyed fabric with a slubbed texture. 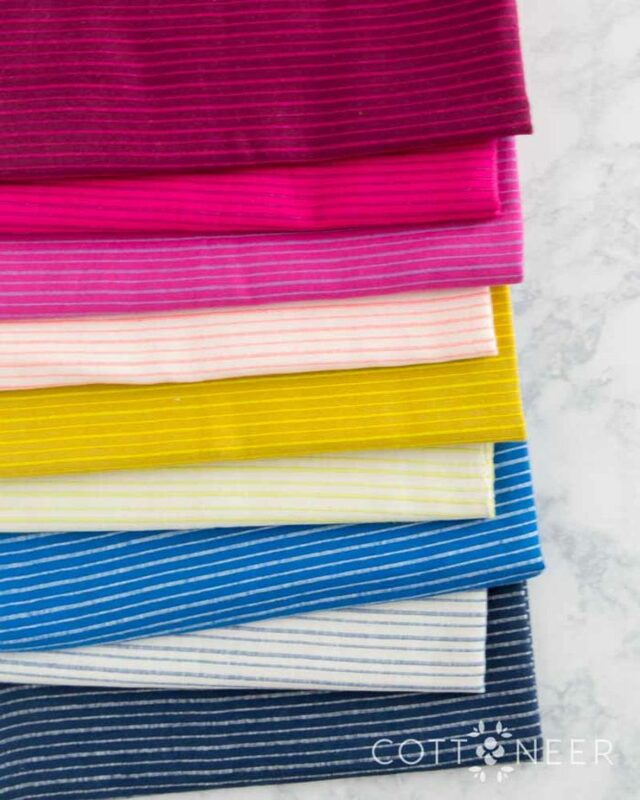 Mariner's cloth is a mid-weight fabric with alternating stripes. These stripes are perfect for garments, home decor and bag making!